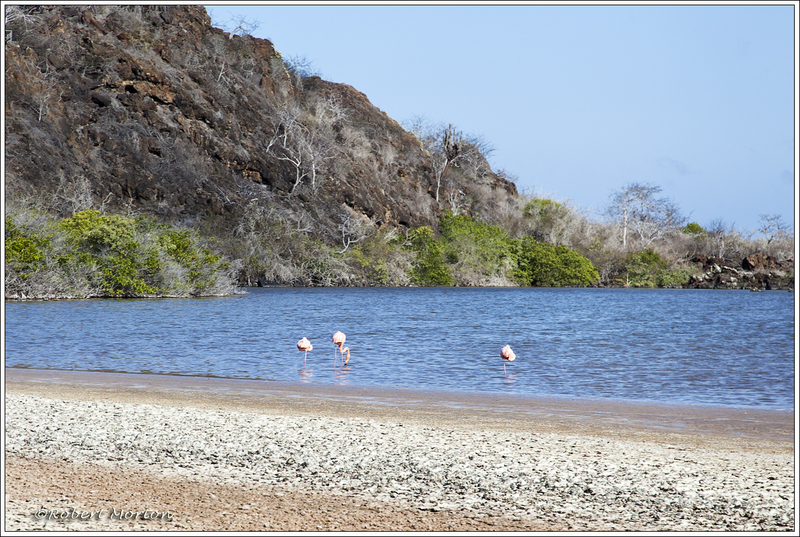 Flamingos frequent a brackish pond at Cormorant Point on Floreana Island. Only a few were present the day we visited. 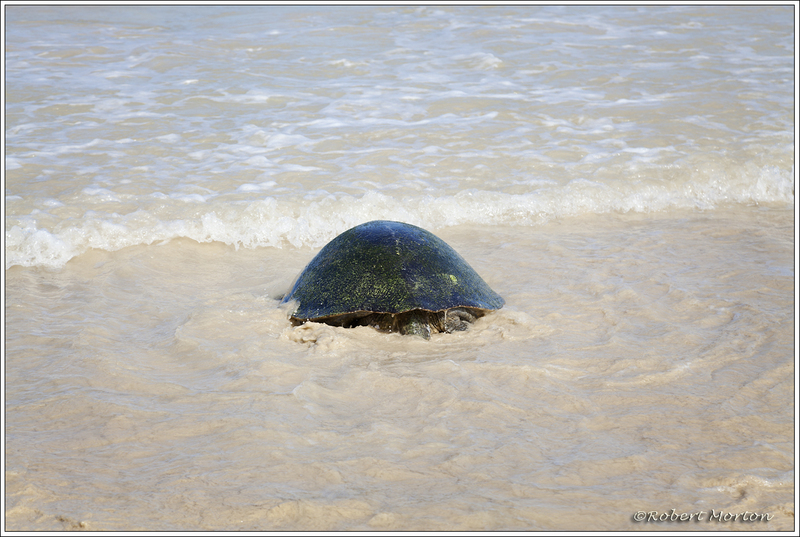 We came across a stationary sea turtle on the edge of the surf. 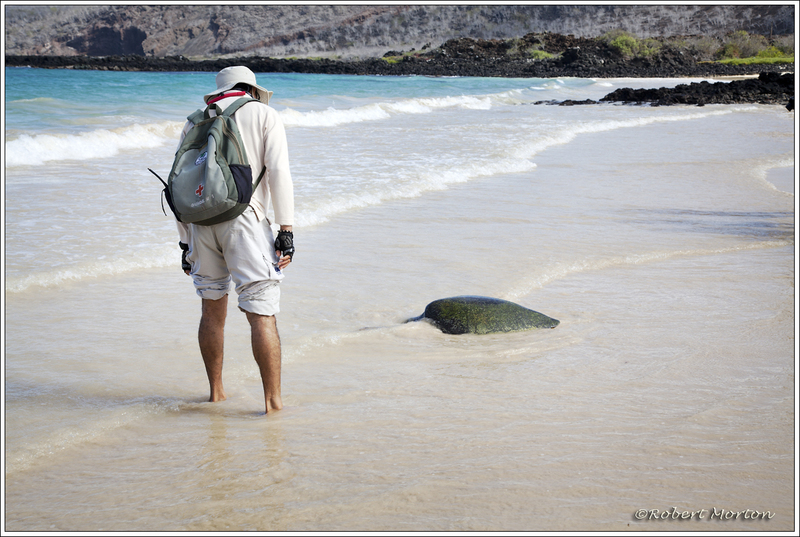 The waves washed up and back over the animal and it wasn’t moving. 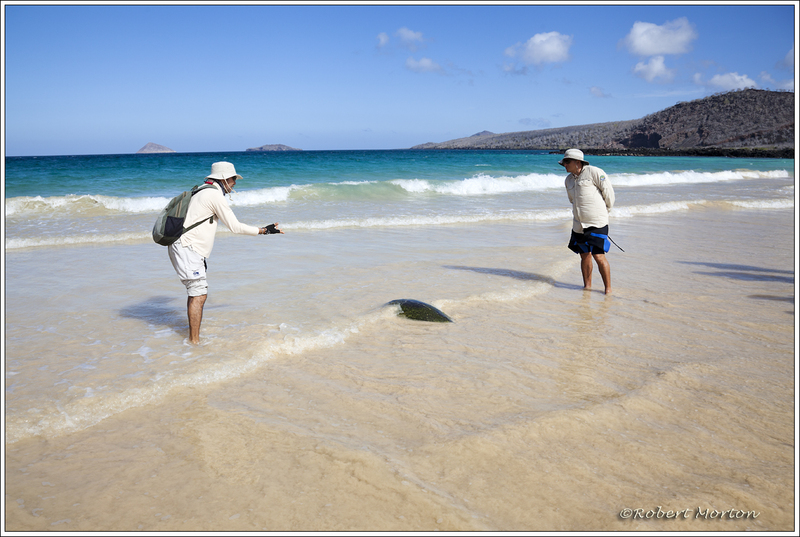 An inspection by our guide was indecisive. Consultation and discussion resulted in more uncertainty. 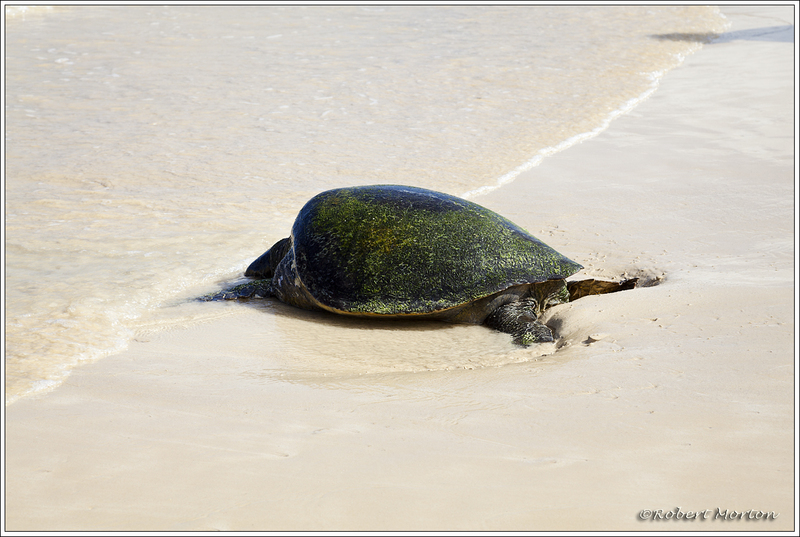 Finally the turtle made for the water. “Enough of this!”, it seemed to be saying. “Just tired and resting.”, was the conclusion of the experts. Remarkable that these two are related. As a newly hatched bird, going from egg to full grown magnificence requires good camouflage. Albatross chicks look pretty scruffy and dirty but they fit into their environment extremely well. 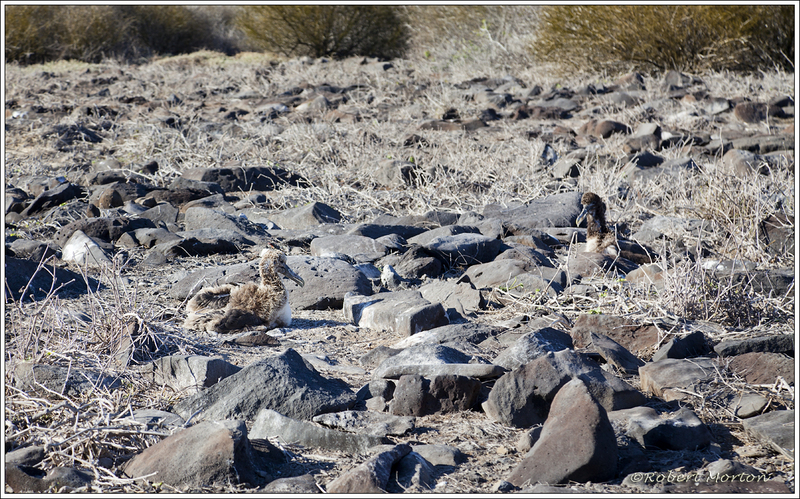 Spotting the two chicks in this photo took me some time. 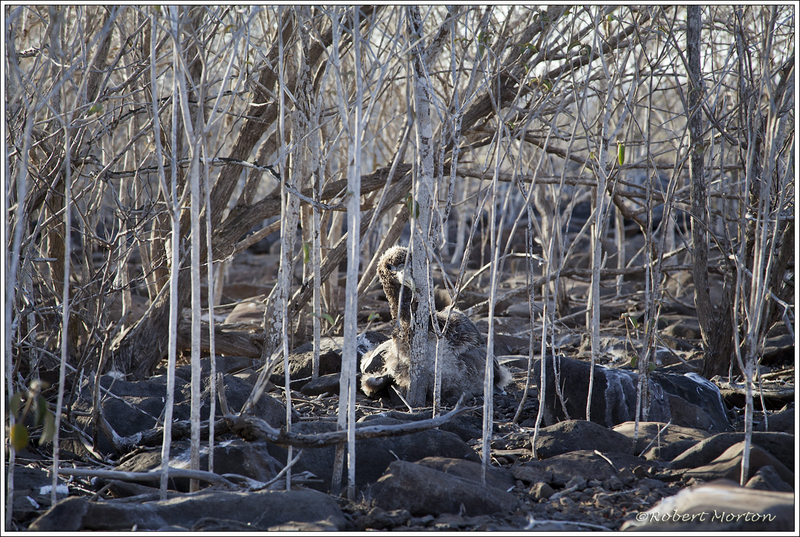 This chick fits right into the environment and becomes almost invisible. Looks like a rock with a beak. Yesterday’s post looked out to sea. Looking inland gives a different feeling. 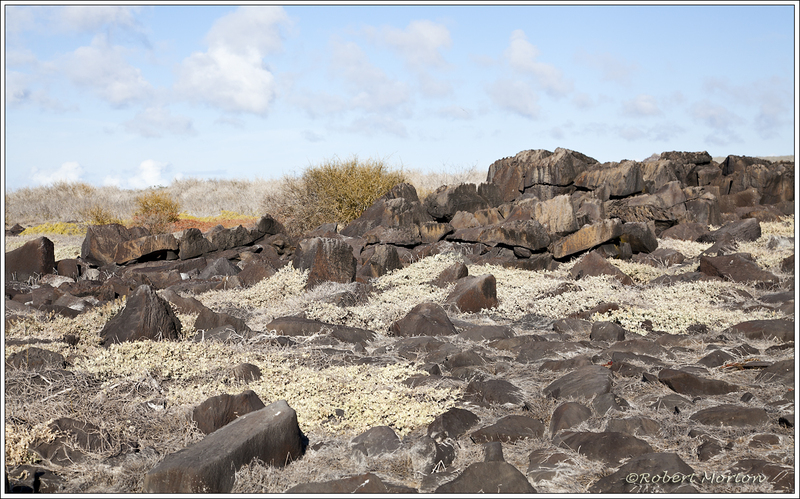 The term “Moonscape” comes to mind. Except for the vegetation. There is no fresh water supply on the island. This is a desert. 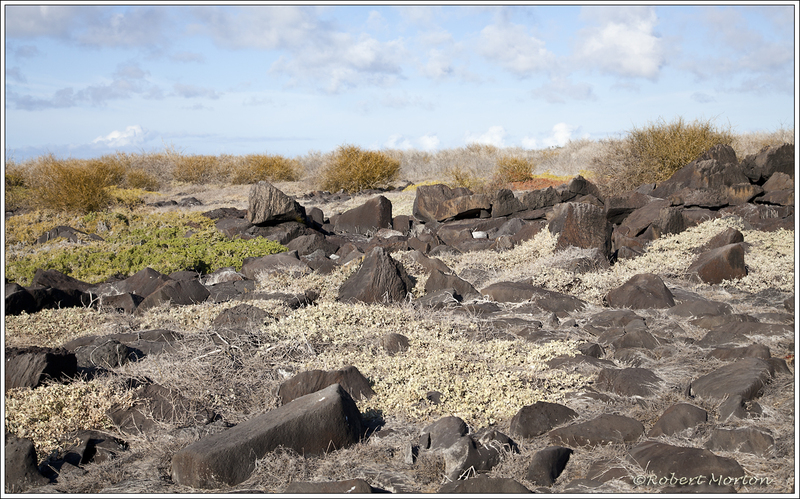 Española Island is the oldest volcanic island of the Galapagos group. 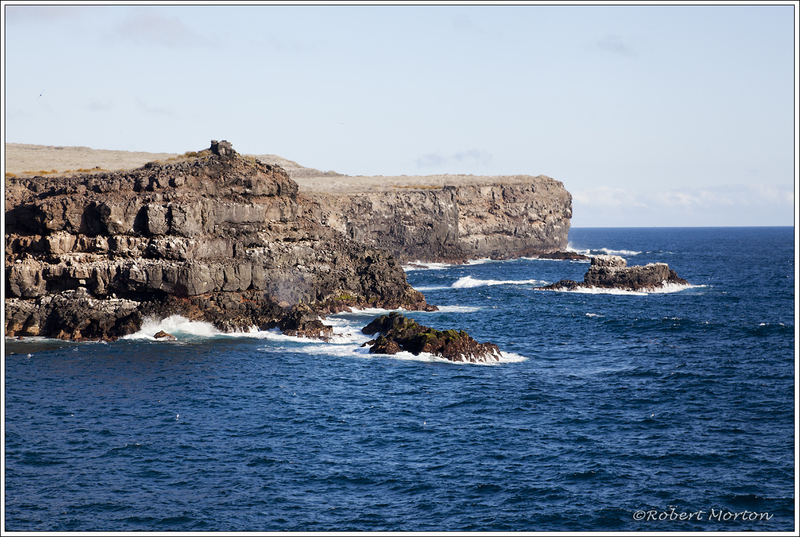 The cliffs provide seabird habitat as the island slowly wears away from the incessant pounding of the waves. 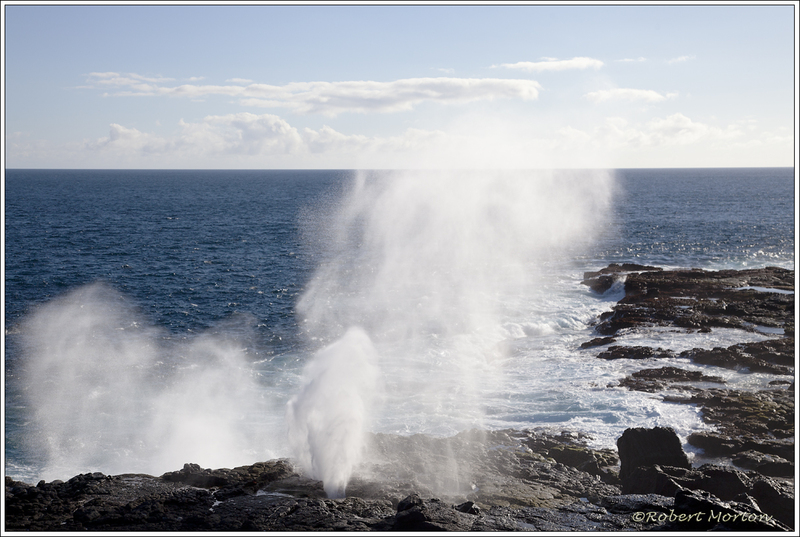 This blowhole was quite spectacular on a relatively calm day. 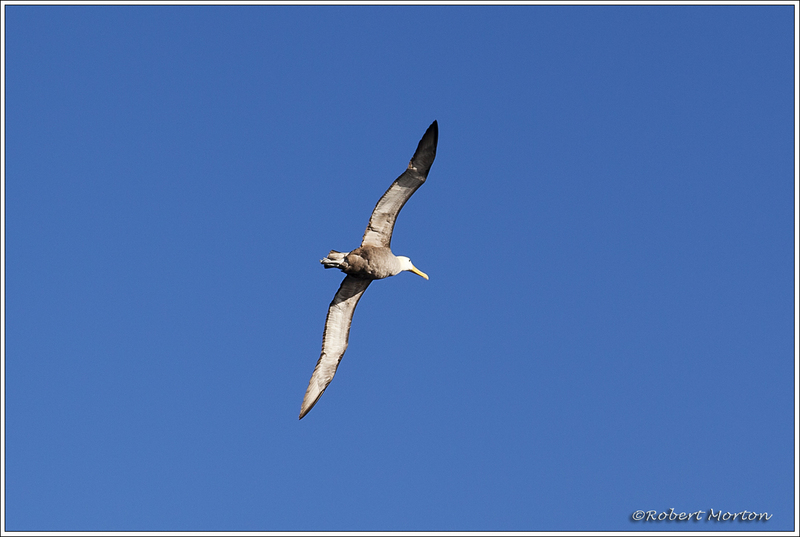 Yesterday’s Blue Footed Booby turned out to be a mother. 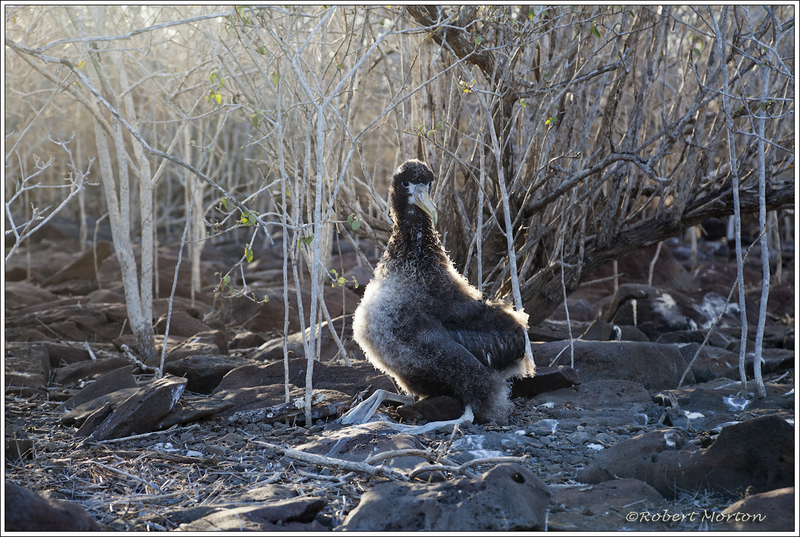 When she landed in the middle of our trail, her chick came waddling out of the scrub and we watched for some time as the chick coaxed her to feed it. After a great deal of begging, the chick stayed hungry. Mom was not cooperating.